TouchSquid Universal Remote Control becomes the latest addition to Automated Outlet's product offerings. Known as a "Home Automation Superstore", the company also offers lighting, security, surveillance, alarm, intercom, audio and home theater products. We're delighted to align ourselves with Automated Outlet. Its strong sales and customer support teams are well equipped to meet the demands of today's customers in a dynamic, fast-changing industry. 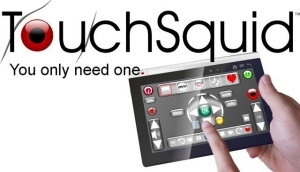 June 14, 2012 Automated Outlet in Lewisville, Texas has entered into a distribution/reseller agreement with TouchSquid Technology Inc. of Vancouver, BC Canada to market the TouchSquid Universal Remote Control Tablet. Grahame Shannon, president of TouchSquid Technology believes that Automated Outlet's strong presence in the residential home automation market puts them in an excellent position to introduce the TouchSquid universal remote control IR tablet to Texas residents. "We're delighted to align ourselves with Automated Outlet. Its strong sales and customer support team is well equipped to meet the demands of today's customers in a fast-changing and dynamic industry." TouchSquid Technology is an emerging solution developer in the home theater remote control industry. Their flagship product is an all-in-one remote control/tablet computer with a built-in infrared blaster. TouchSquid Universal TV Remote Control is a fully featured, high end home theater remote control with large, easy to read virtual buttons, intuitive user interface, and customizable screens. 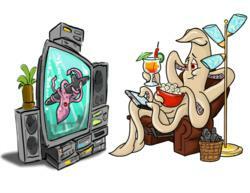 TouchSquid has an extensive library of supported devices (over 200,000), and through internet connection can be used to browse TV listings and reviews. By having the ability to store multiple profiles, using activity based button layouts with automatic input switching, and providing a quick, easy way to get back on track when devices are out of sync (in the form of the Squid help button), the built-in TouchSquid remote control app eliminates a number of common “remote control headaches” and enhances a viewer’s home theater experience. Founded in 2002, Automated Outlet is a distributor, wholesaler and retailer of home automation, lighting control, security, and home theater products to the residential and commercial markets. Known as the "Home Automation Superstore" it sells to both the retail market and through its well established distribution channel of dealers. The company's on-line catalog can be found at http://www.AutomatedOutlet.com. For more information please call (214) 245-4594.